I am Daniela, from On the Cutting Floor. 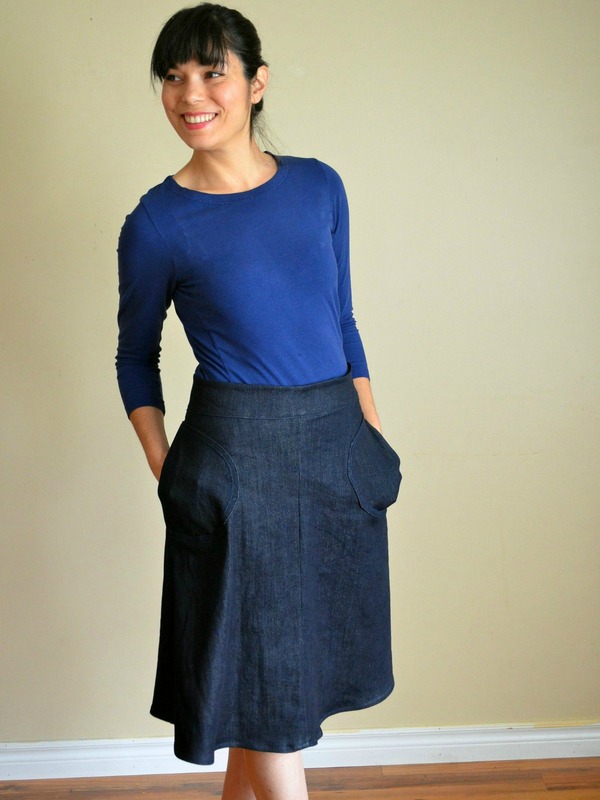 This is the Easy A-line skirt tutorial. 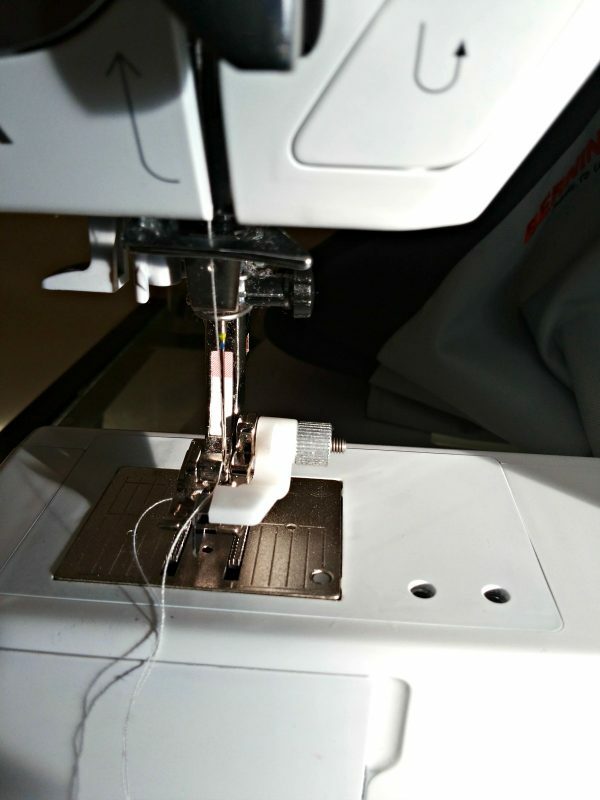 This post contains a free PDF printable pattern on the material list. Enjoy! Here is an image of the pattern and how it should be assembled. You will print 20 pages that will each overlap by 1 inch. Make sure the blue diamonds on the pages are matching correctly. 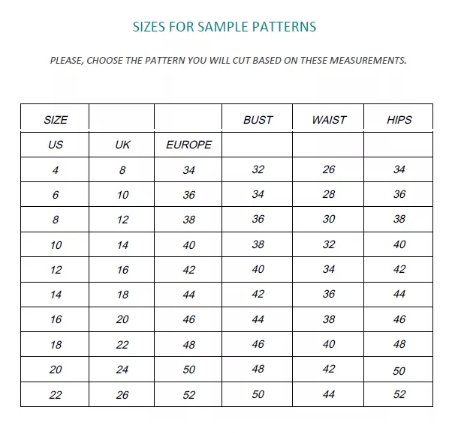 In addition, remember to select “actual size” when printing the pattern. 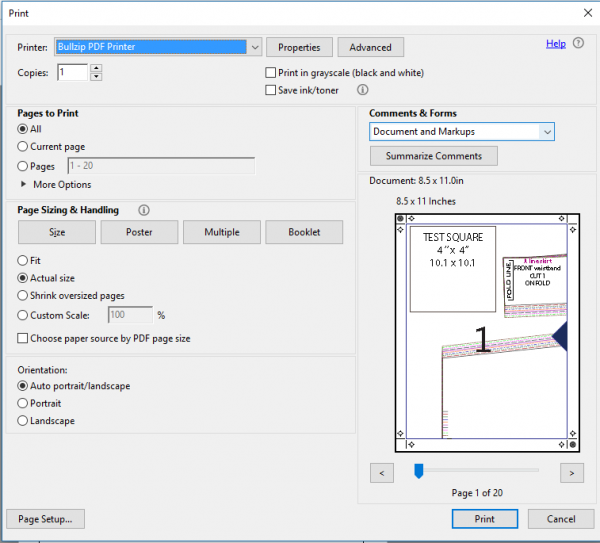 If you are in doubt, the pattern comes with a 4″ x 4″ square test on the first page. 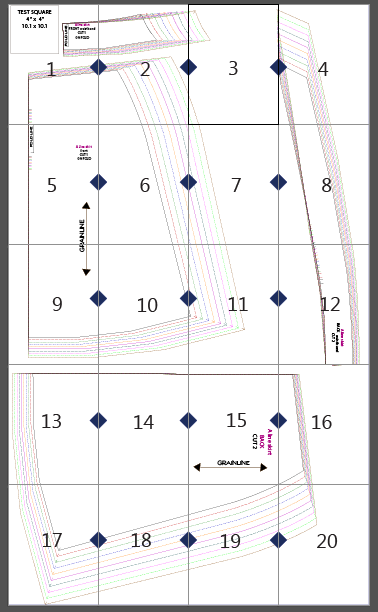 Here is the image for the fabric layout on a 60” folded fabric. 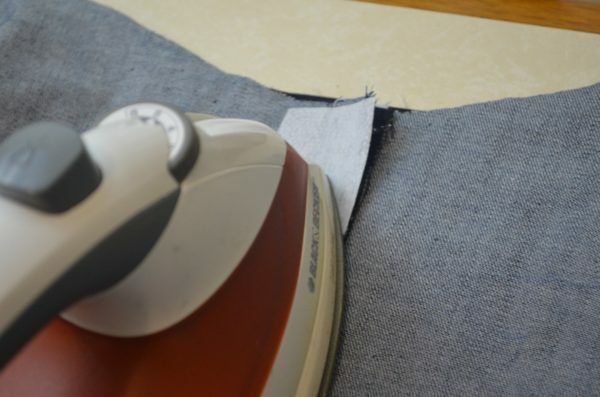 You will need 2 yards of fabric for this project. 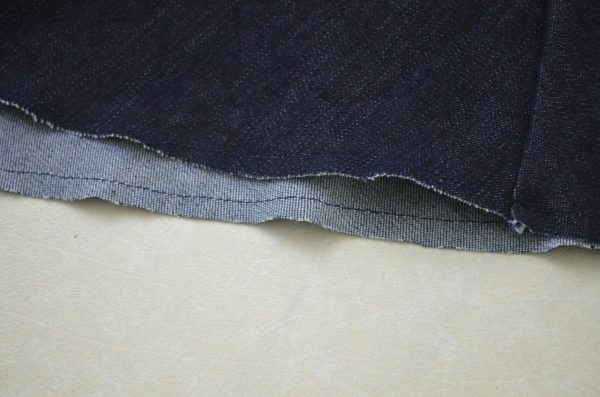 I recommend a medium to heavyweight woven fabric. Please notice, this pattern has 3/8 inch seam allowance included. 1. 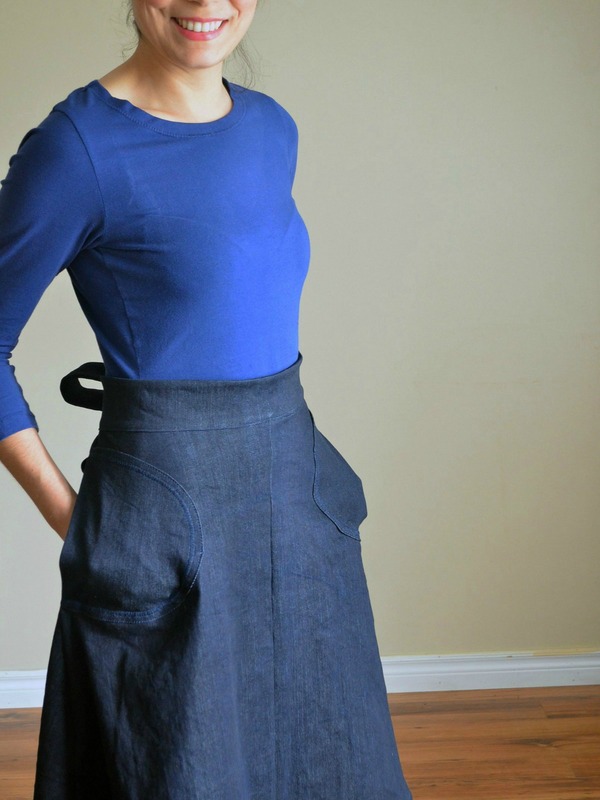 Take the front and back pieces of the skirt and place them together, right sides facing. 2. 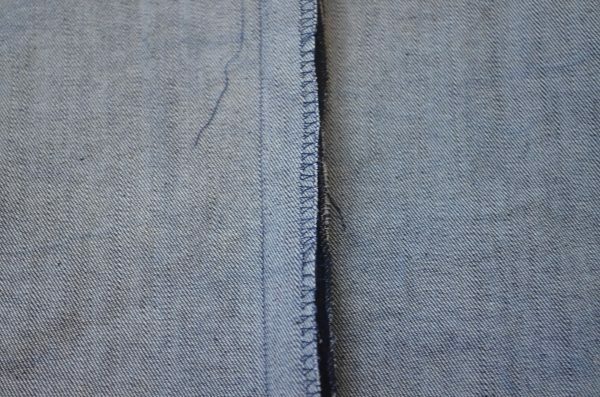 Then, stitch the side seams of the skirt. For this tutorial, I used the overlocking stitch from my BERNINA. 3. 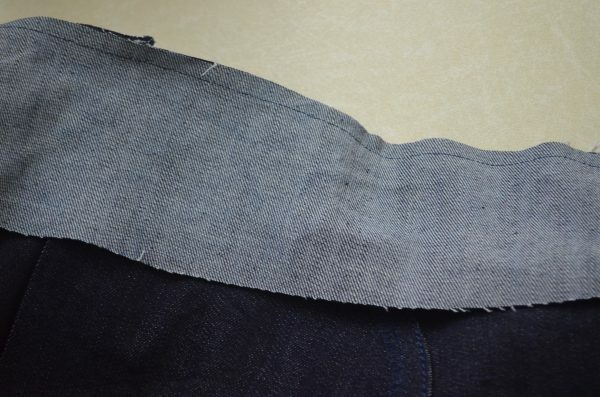 Prepare the pocket: Prepare the edge of the pockets by making an overlocking stitch on the curved area and the opening, as well. 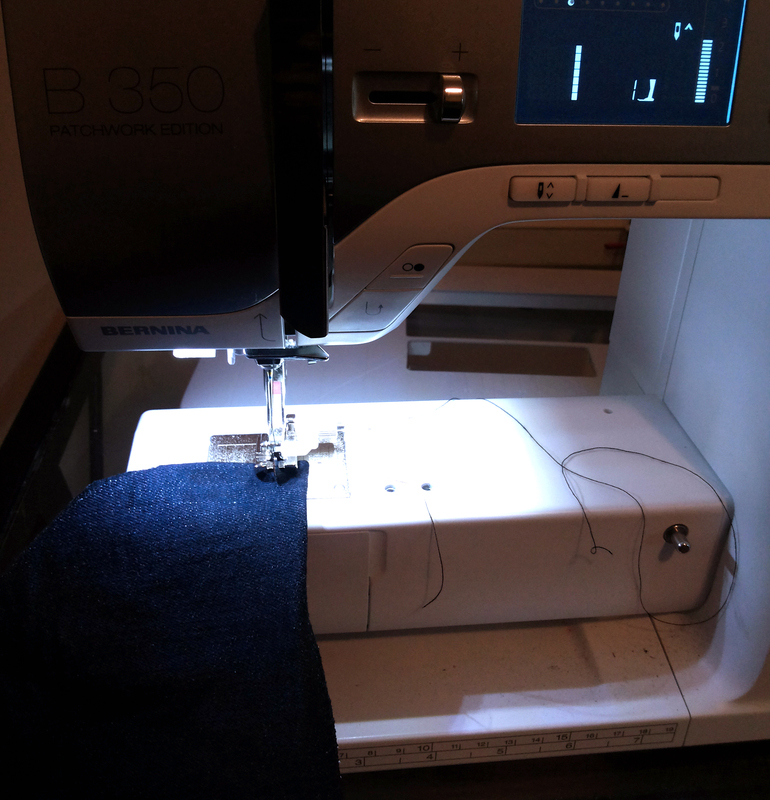 For this purpose, I will use the Blindstitch foot #5 and the stitch number 8 on my BERNINA 350 PE. 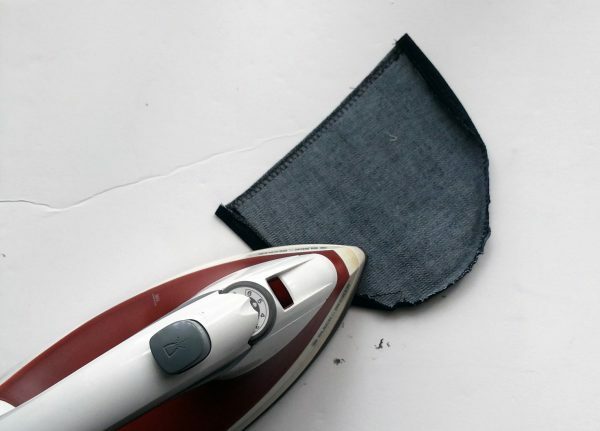 Fold the curved area of the pocket 3/8 inch to the inside of the fabric and press flat with your iron. You can also baste stitch it. 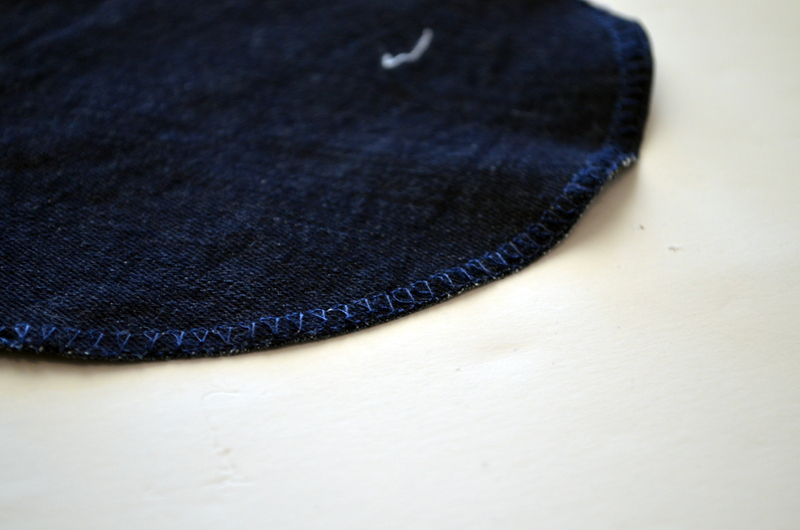 Then, you can also fold the pocket opening 3/8 inch to the inside and press flat. You might also want to stitch it with a regular stitch. 4. Pin the pocket to the skirt side seams. 5. 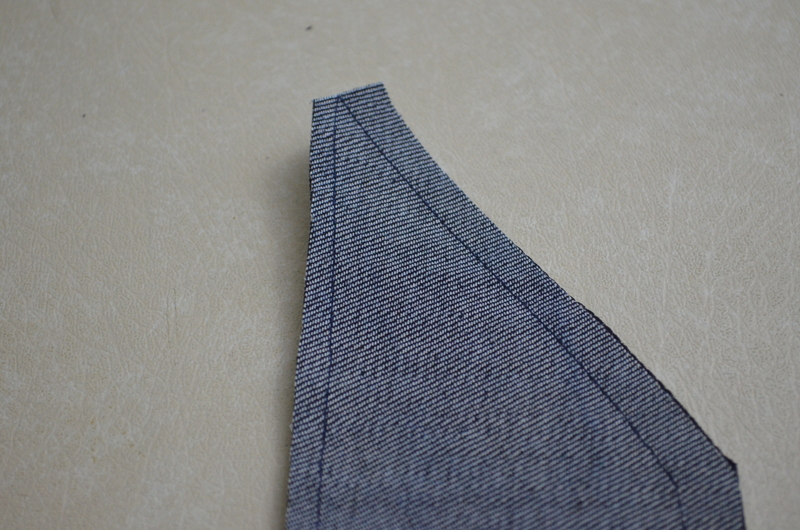 To add the pockets to the skirt, edgestitch the pocket 1/8 inch from folded edge. 6. 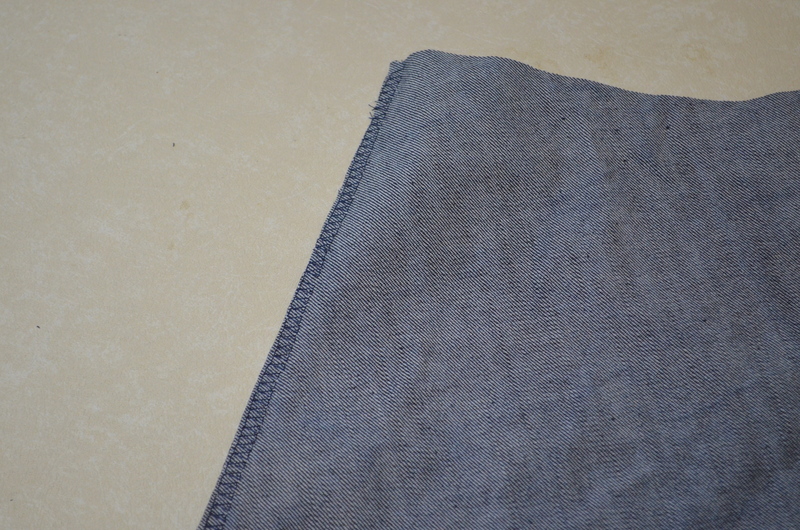 For this tutorial, I used two different stitches for this pocket to add some texture. The edge stitch is the triple straight stitch with a 3.5 length. 7. After you finished with the pockets, press them flat with the iron. 8. 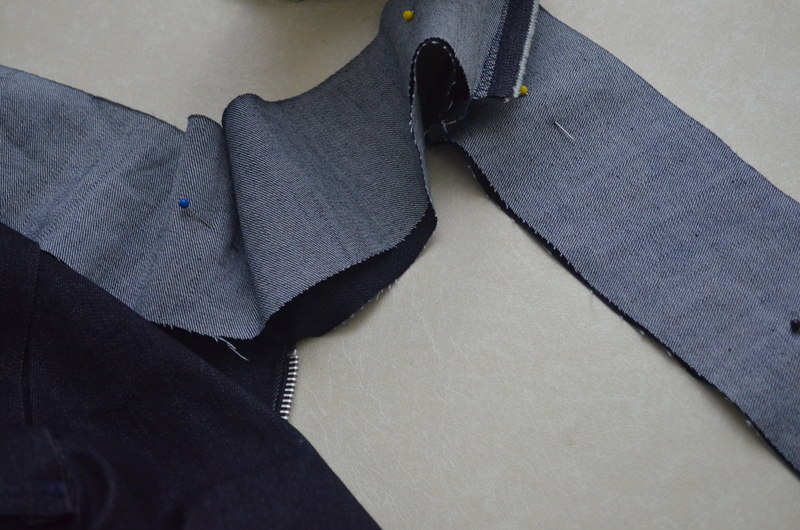 Now, fold the skirt to close the back and add the exposed zipper. For this part, baste stitch 8” of the center back seam with a 5/8 inch seam allowance. 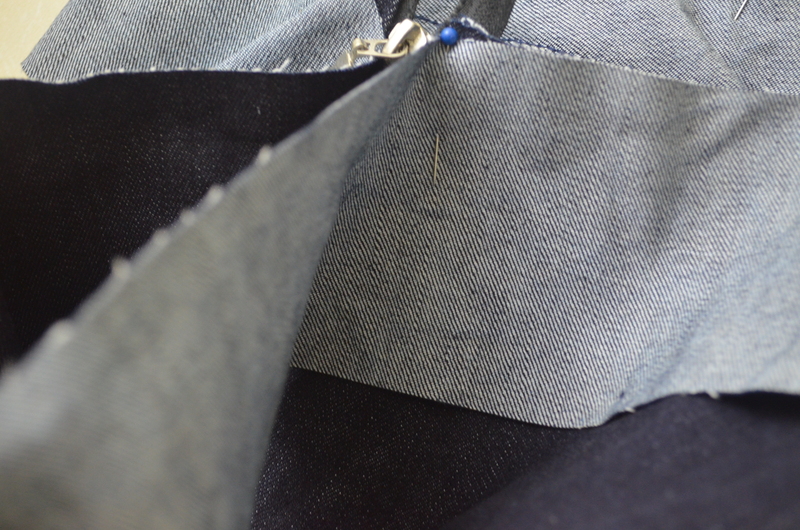 Then, continue with a 3/8 inch seam allowance on the rest of the skirt with a regular 2.5 – 3.0 stitch length. 9. 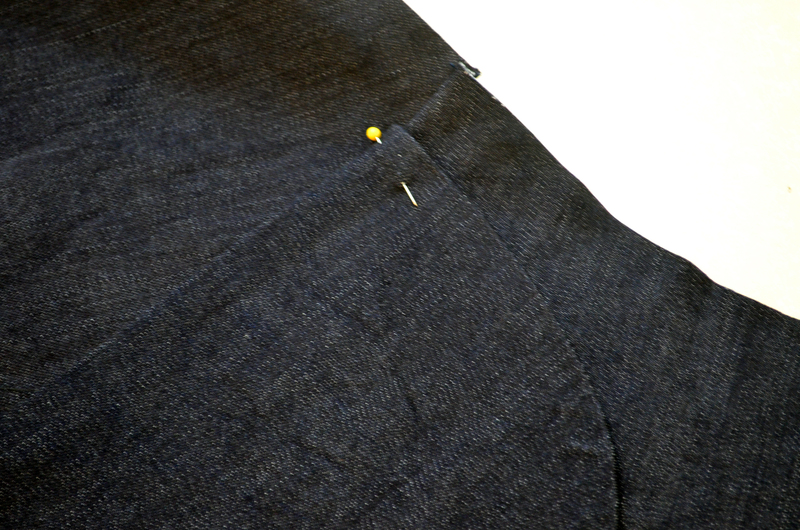 Add two strips of woven interfacing to the skirt, on the baste stitched area (8” long). 10. 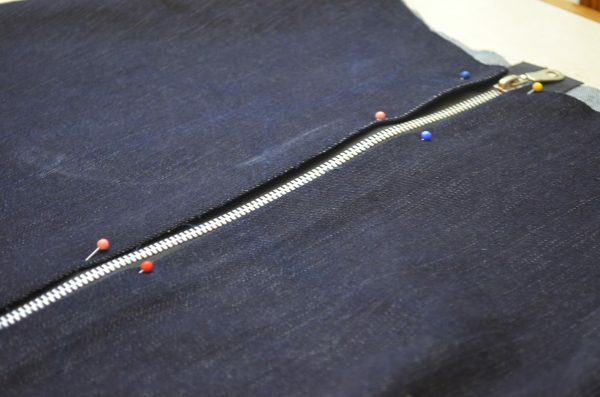 Make a small, diagonal cut to the fabric where the bast stitch ends. 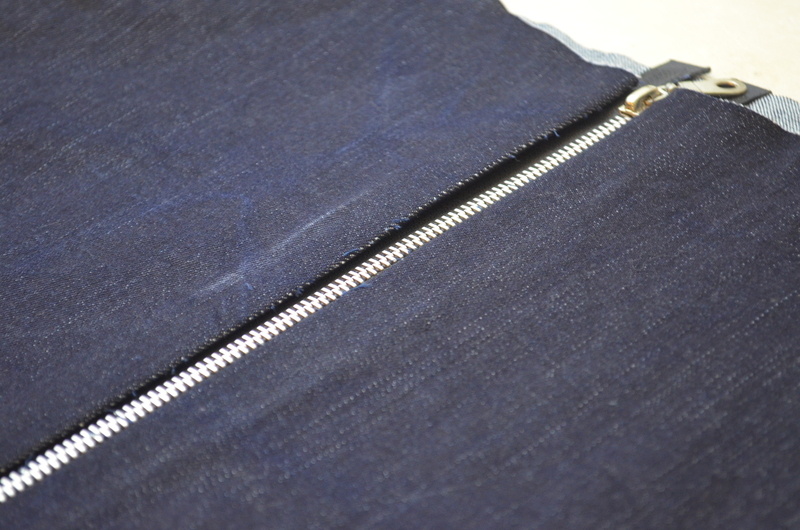 Then, open the baste stitched area, and press the seam allowance with your iron. 11. 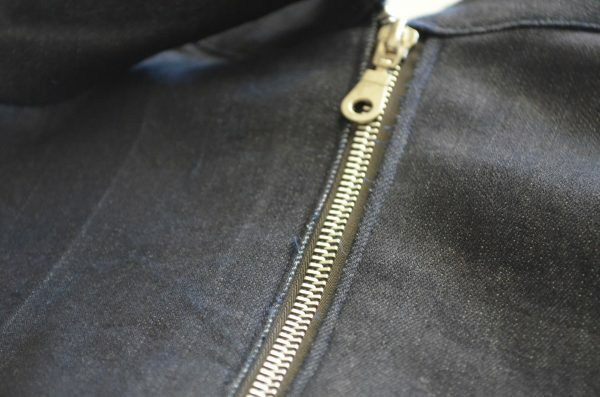 Place the zipper on the skirt opening. 12. Pin it to the skirt. 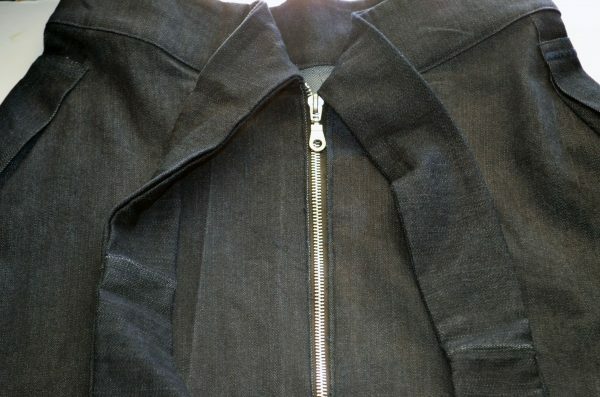 To insert the zipper and topstitch it I used the Zipper foot #4. 14. THE WAISTBAND AND STRAP: Place the waistband and straps together, right sides facing and stitch them on the sides. 15. 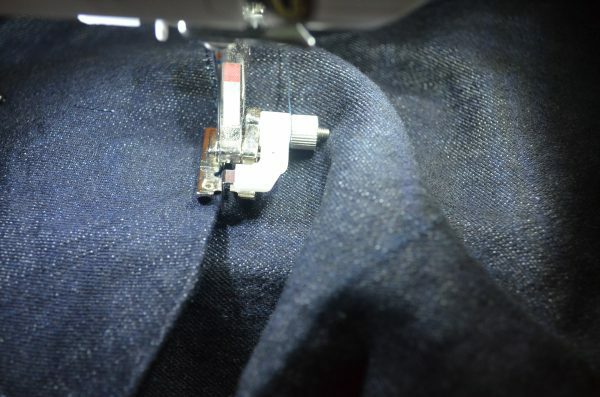 Press the seam allowance flat and pin the waistband to the skirt. 17. 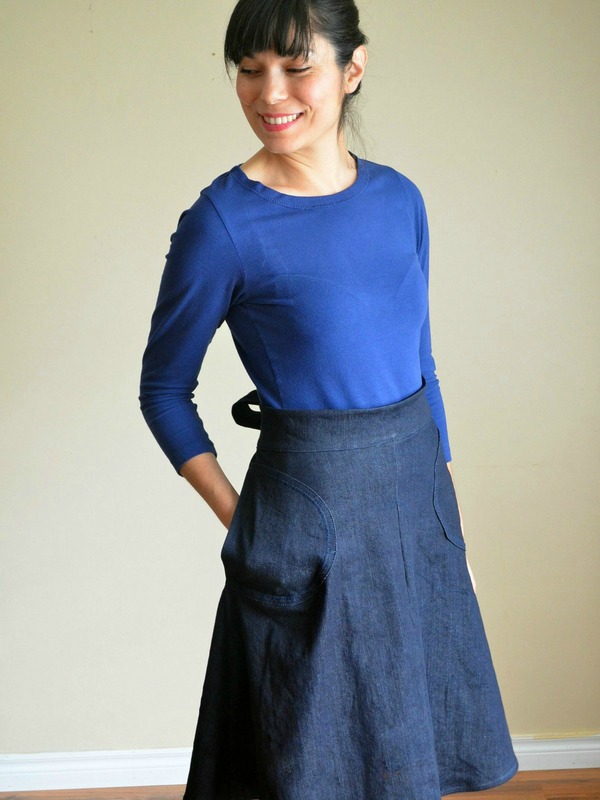 Stitch the waistband to the skirt with a 3/8 seam allowance. 18. Then, add the strap facing on top and pin them together. 20. Now, you will need to turn the straps to the right side. I used a chopstick to do this. Super simple and quick! 21. 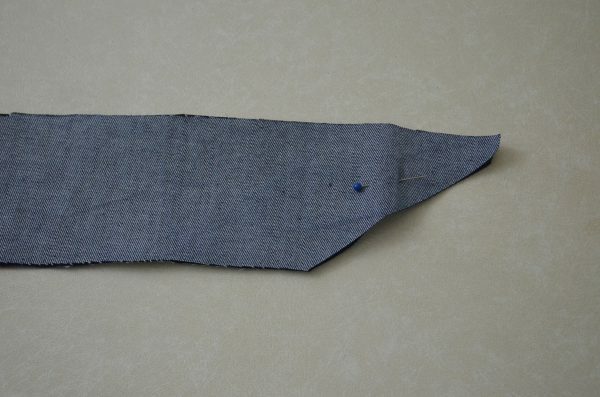 Then, turn the skirt to the wrong side and fold the seam allowance from the strap facing 3/8 inch. 22. 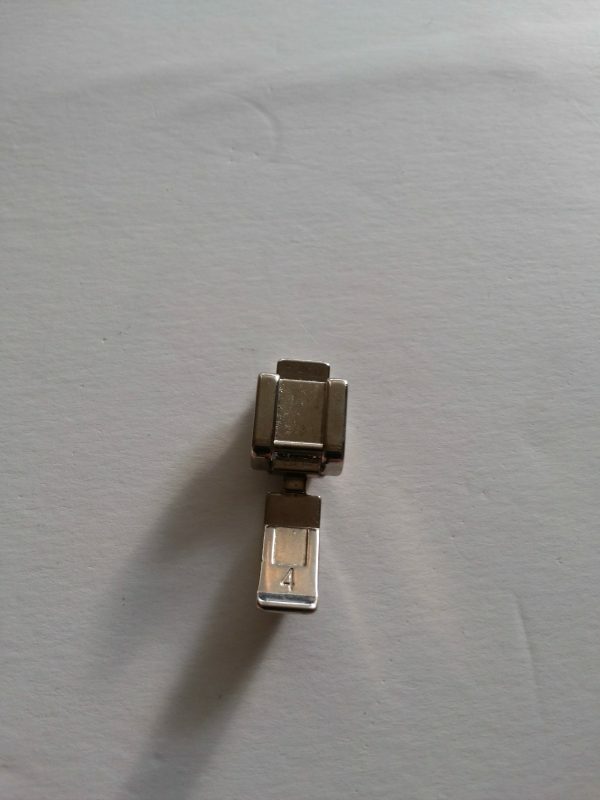 After this, press it flat and stitch it to the strap. 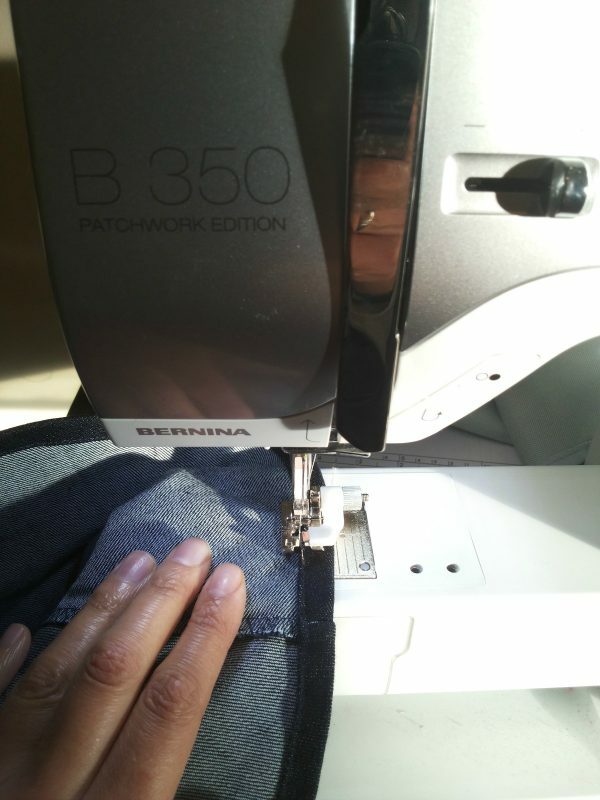 To stitch the waistband I used the Blindstitch foot #5. 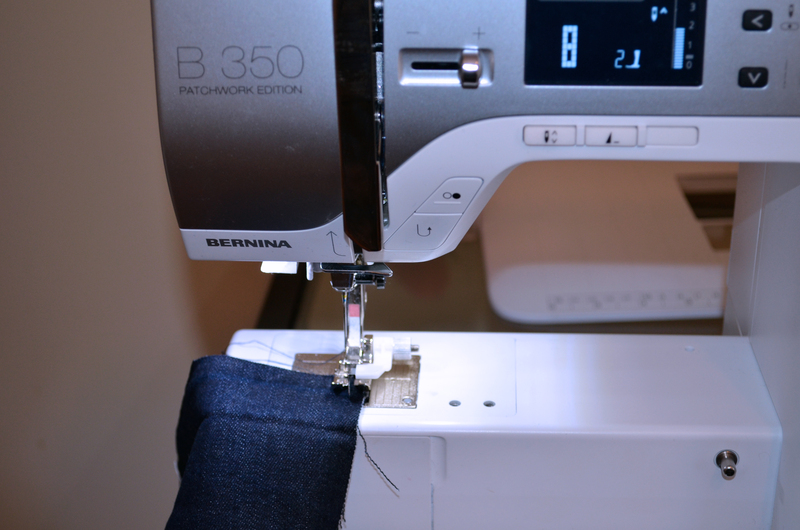 This is, for me, the easiest way to make the topstitch professionally. 23. 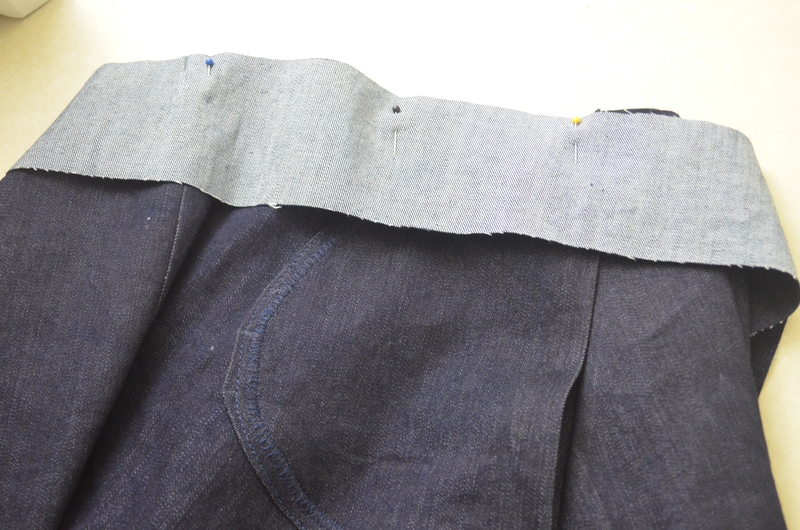 To finish the skirt, fold the hemline 1/4 inch and press. 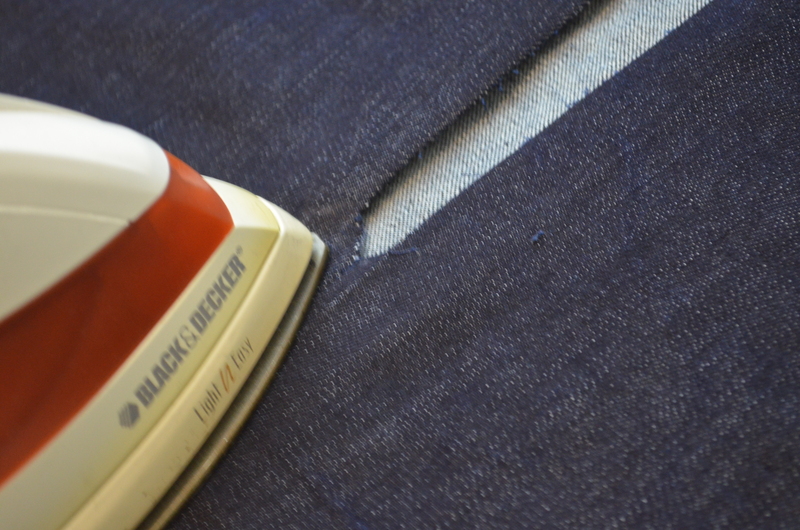 I would recommend to machine baste the hemline first. 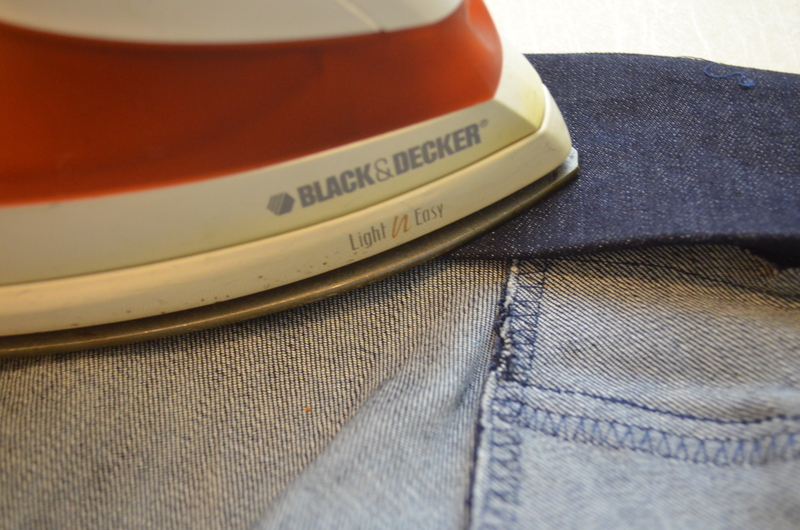 This will make it easier to fold to the inside. 24. 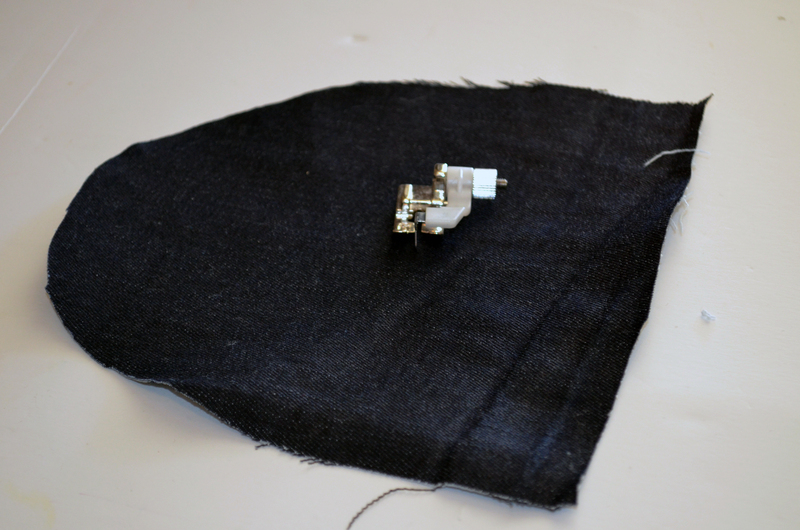 After this press the hemline flat and fold one more time 1/4 inch. 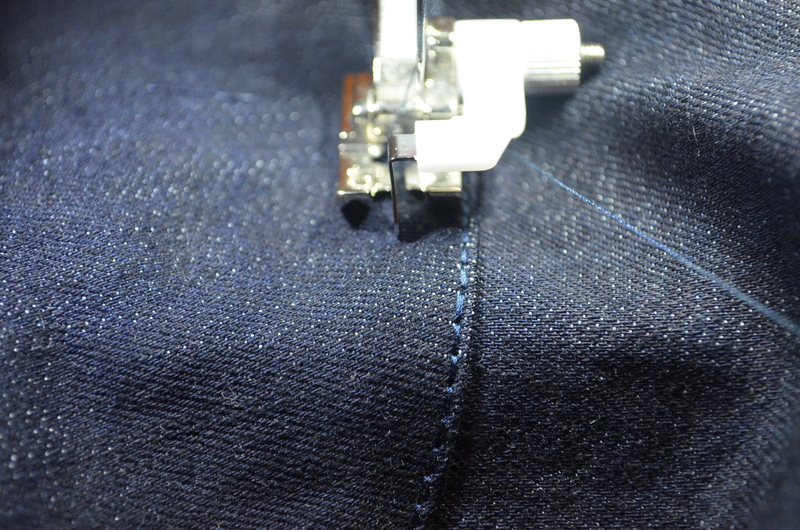 Then, stitch it to the skirt. As you can see, I used the presser foot #5 again to topstitch the hemline. Thank you for reading this tutorial and do not forget to visit us next time. 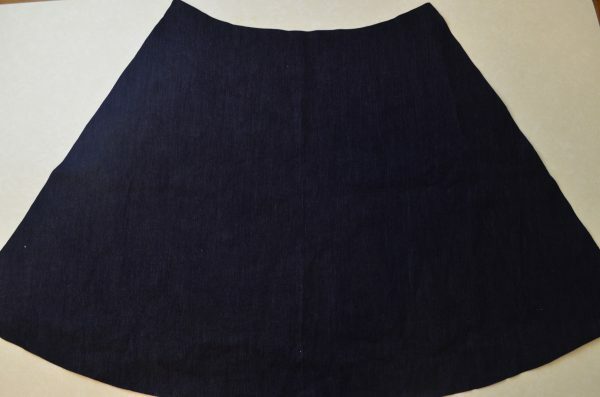 Just a question about the image of the skirt in denim compared to the pattern. 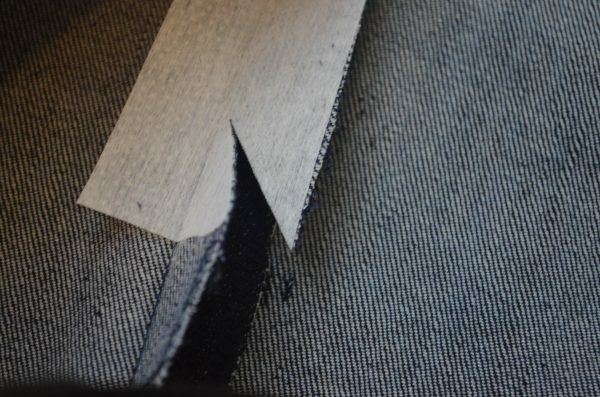 The image seems to show a seam down the centre front but the pattern and instructions indicate that the front is cut on the fold. Ie no centre seam. Thanks for the pattern.